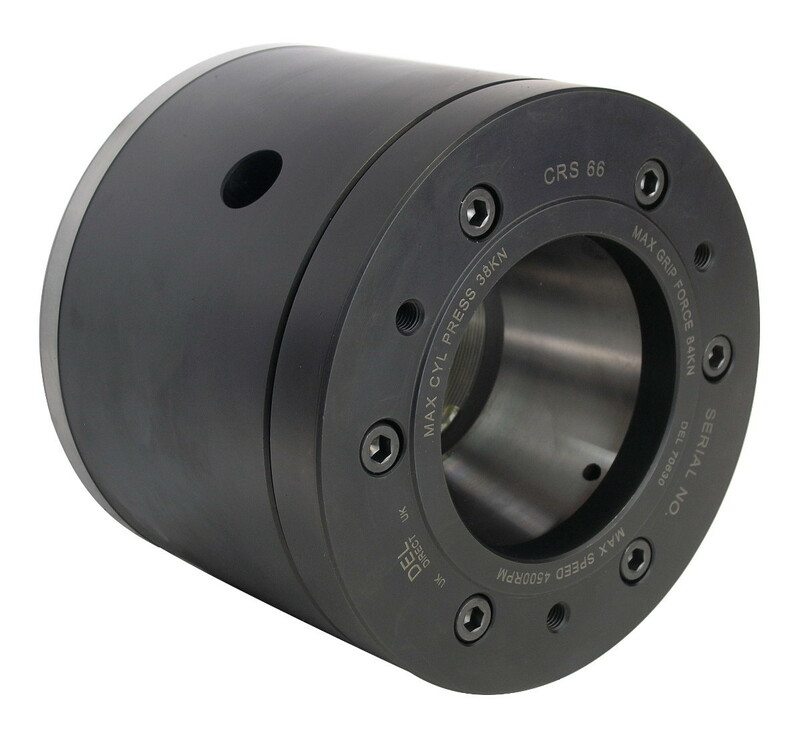 CRS Short Series Collet Chuck with 4 - 66mm gripping range and max speed of 4500 rpm. Quick change cap with safety lock, ideally suited for barfeed applications. 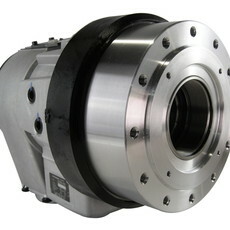 Ultra compact chuck design for first operation, ideally suited for use with barfeeders. 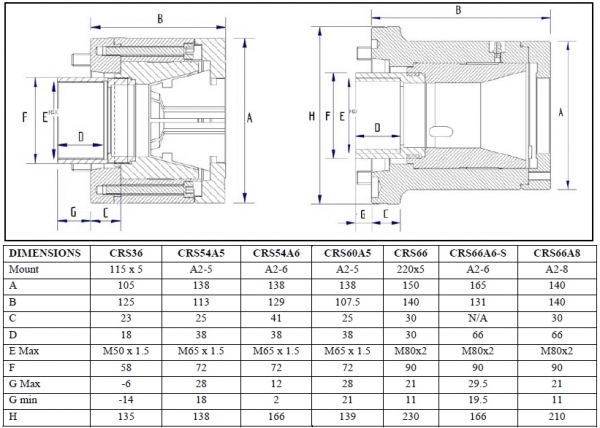 Short length maximises lathe work envelope. 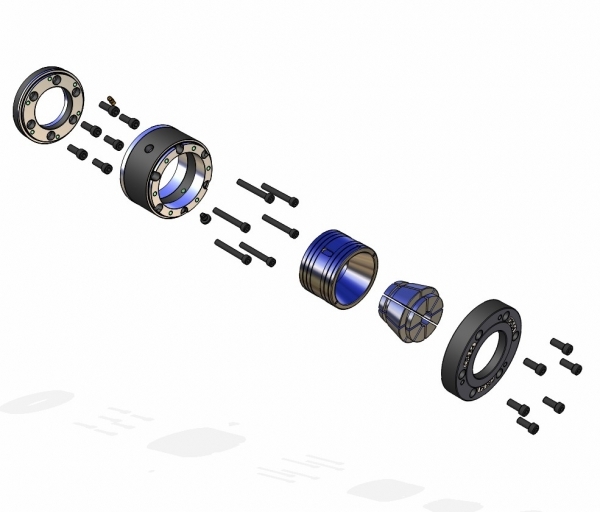 Large capacity in small diameter and short length. Suitable for D285 Varibore Collets.